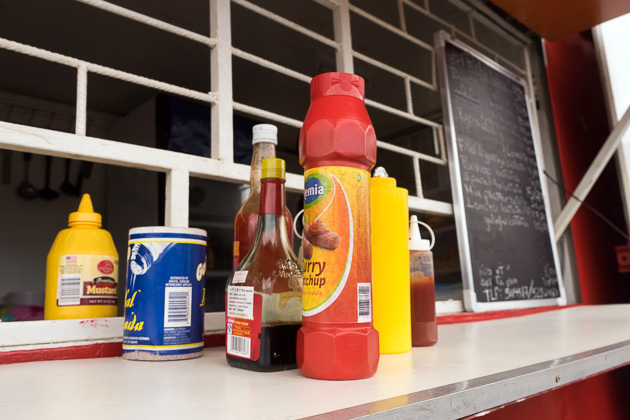 Budget travelers to Curaçao will find no lack of cheap lunch joints in Willemstad. 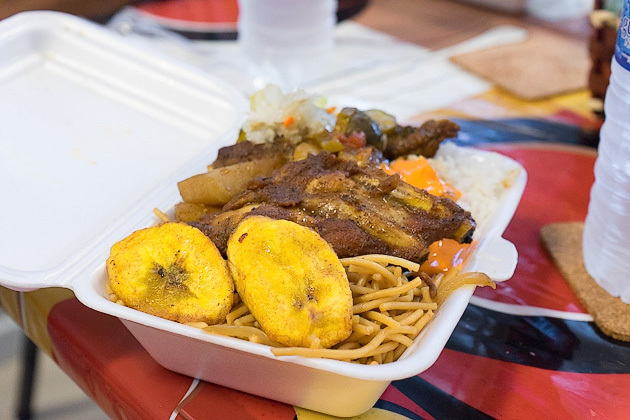 We’ve already written about some of our favorites in Punda, and there are plenty of others that we didn’t get a chance to try out. But as the sun goes down, these shops tend to close up. So what are the cash-strapped do for dinner? Cooking at home is a reasonable solution, but that’s no fun. 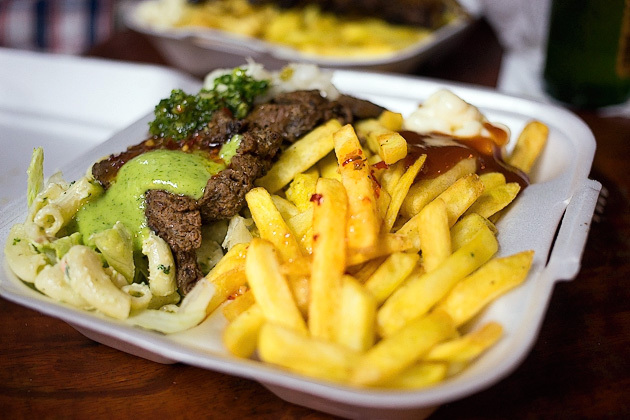 The best option is to hunt down a food truck. 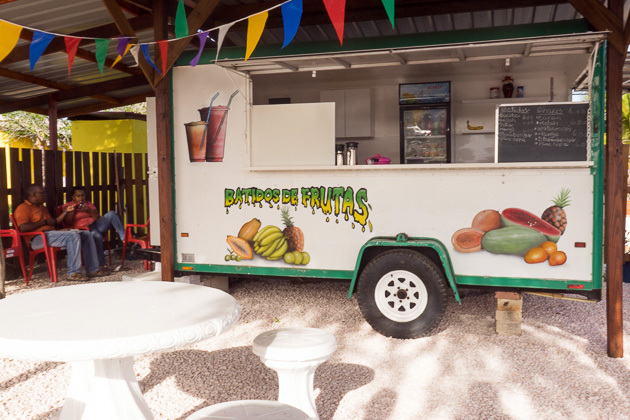 Food trucks can be found all over Curaçao, dishing out delicious meals at cheap prices to those who have no need for niceties like silverware, plates, tables and waiters. 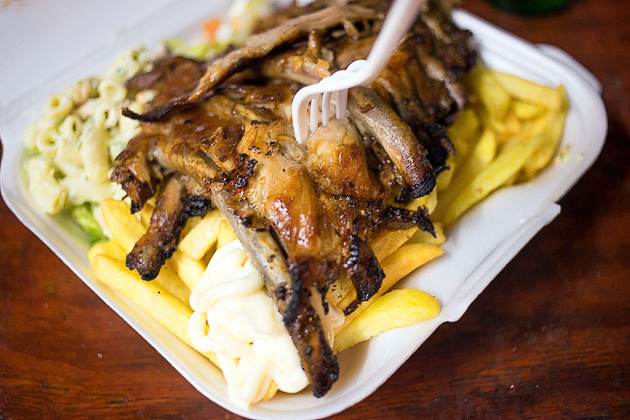 Slop it into a styrofoam container, grab a plastic fork, hock down on the nearest curb, and fill your belly. 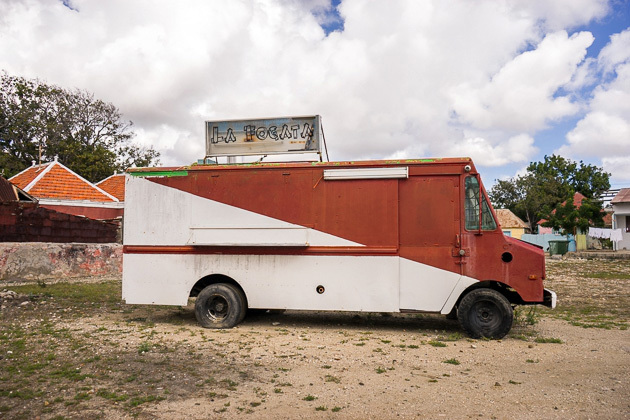 That’s possibly not the most appealing description of a dining experience, but some of the best meals we’ve eaten on Curaçao have come through the window of a truck. 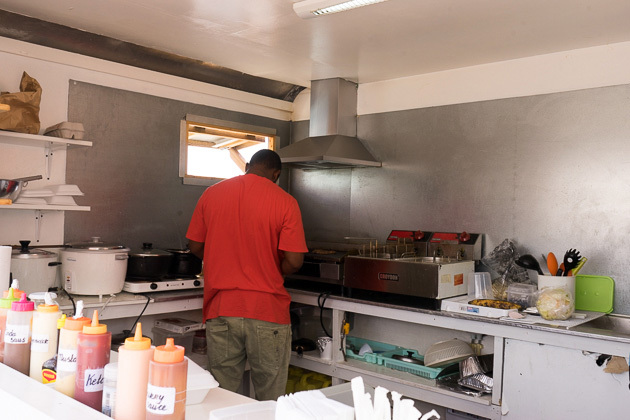 If you only check out one food truck during your time on the island, make it the BBQ Express, currently found on Caracasbaaiweg. (I think this one’s location is more permanent, but other trucks seem to switch spots with casual frequency.) I ordered a serving of the ribs, which came with fries and noodle salad, and cost me about seven bucks. Despite my having ordered a “small” portion, this was a huge slab, dripping with sauce and falling off the bone — the best ribs I had during our time here. That’s no faint praise, considering that ribs are a Curaçao specialty. 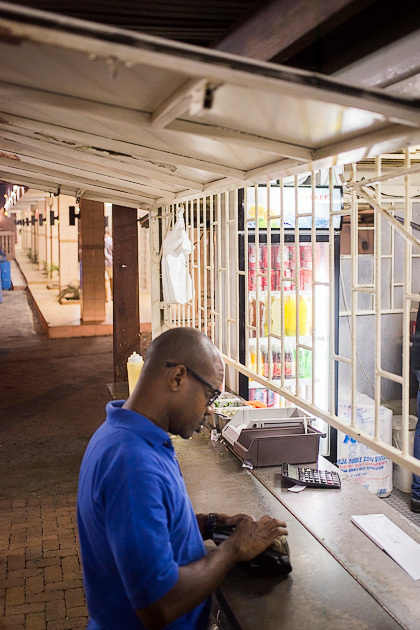 The trucks are mostly a night-time phenomenon, but there’s one in Pietermaai which operates during lunch time. 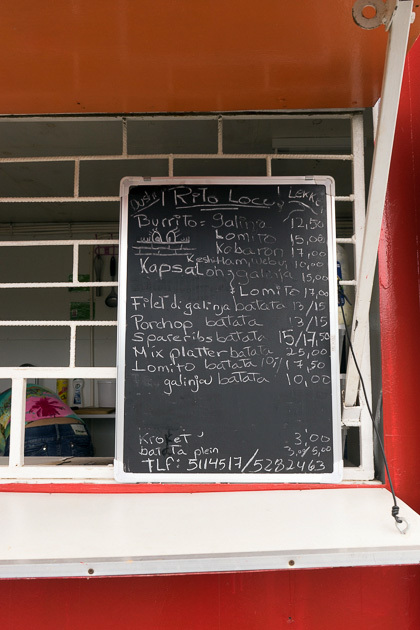 This white wagon also serves up local specialties like goat stew — ask what the daily special is. I had a breaded fish filet, served with the usual sides. Again, incredibly good value, but you should be prepared to wait in line! 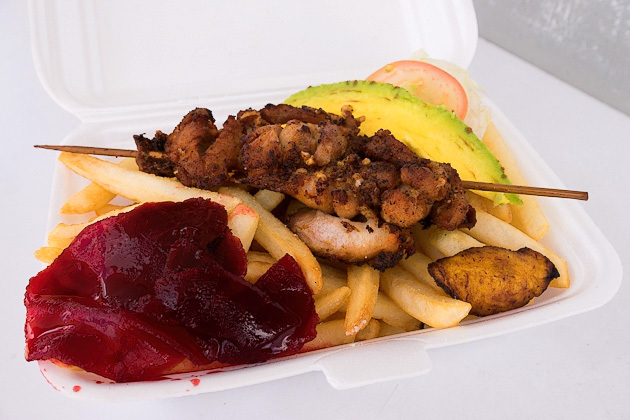 Generous portions of meat and fries aren’t the only things you can find at Curaçao’s food trucks. 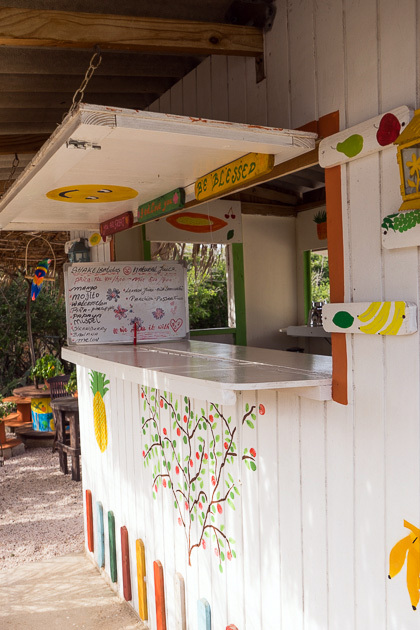 Often, we would pull over on the way home from the beach to pick up a refreshing drink. 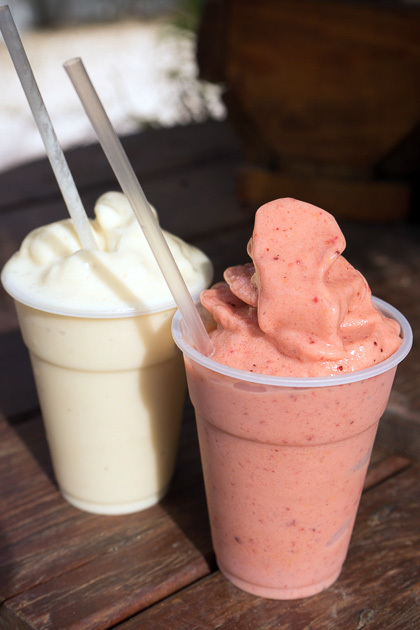 There are a number of trucks selling batidos: fruit shakes made with milk and sugar. 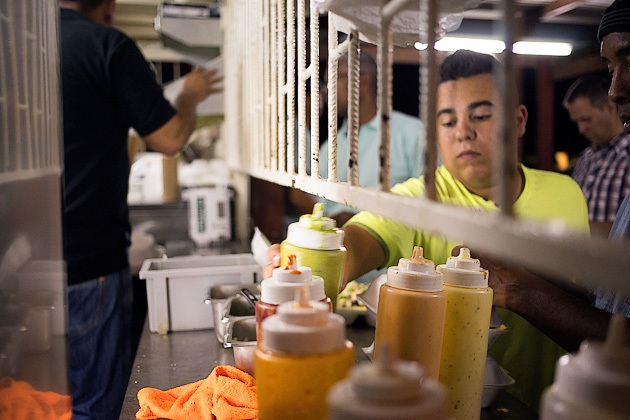 Our favorite is found on the road to Soto (location), where we often stopped, and tried just about every conceivable combination. Mango-Pineapple was my favorite. No, Strawberry-Banana. No Passionfruit-Melon. The guys are super nice, and there’s a cute garden where you can sit and enjoy the drink. 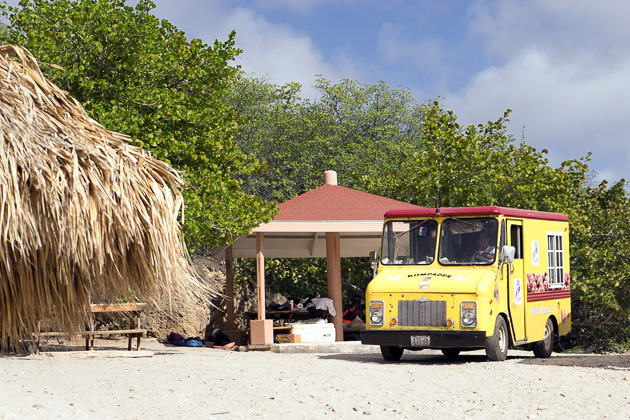 You can also find trucks selling fresh coconuts. We got addicted to coconuts during our time in Sri Lanka, and were thrilled to find them on Curaçao, as well. After a day in the sun, nothing is as replenishing and refreshing as cold, pure coconut water. 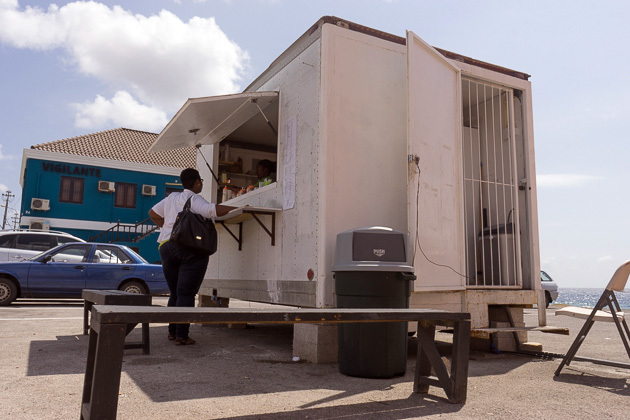 Meals on Wheels - Curaçao's Food Trucks Budget travelers to Curaçao will find no lack of cheap lunch joints in Willemstad. 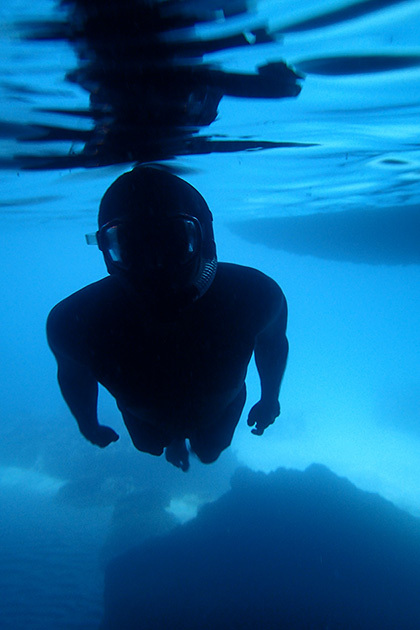 We've already written about some of our favorites in Punda, and there are plenty of others that we didn't get a chance to try out. But as the sun goes down, these shops tend to close up. So what are the cash-strapped do for dinner? Cooking at home is a reasonable solution, but that's no fun. 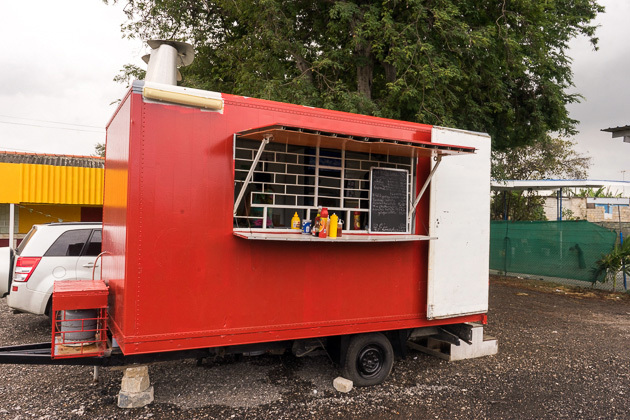 The best option is to hunt down a food truck. Yum, yum! It all looks good! I personally don’t mind casual eating, especially when the food is great! Those ribs do look delicious and at those prices are a good budget buy too. Food trucks were popular in Sicily when we were there in May last year.